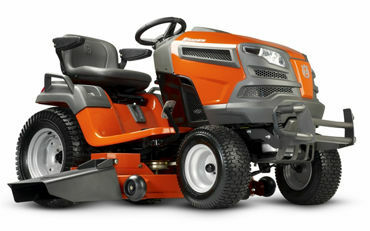 In addition to Toro Lawnmowers, we carry Honda, and Husqvarna! Toro lawnmowers offer the answer to residential limitations on debris disposal. Many areas of the country have limited the amount of lawn debris residents can dispose and is why you should consider buying a Toro mower. Toro mowers will allow you to mulch your clippings keeping debris quantity down and retaining the precious nutrients and moisture in your lawn. This type of mulching push mower is a great time saver because you will not have to empty the bag as much. Most of the time push mowers come complete with a bag and a side discharge option. Here is a fall tip: An optimal way to use a push mower in the fall is to run the push mower over the leaves to cut them up. Then put the bag on the push mower and vacuum the leaves. You will get far more leaves in the bag. If it has rained for an extended period of time and you can’t use your push mower as a mulcher, use the push mower with the bag on to get the grass down to the normal level until the weather cooperates. Using a push mower as a mulcher under these conditions will create clumps in your lawn unless you can raise-up the wheels on the mower so you are not cutting as much off. Here are a few more tips to remember when using a push mower as a mulcher: Keep beneath the push mower deck very clean. The easiest way to keep the deck of your push mower clean is to be sure it is not full of gas. Then disconnect the spark plug wire, tip over the mower with the air cleaner side of the engine up and simply scrape off the debris. If you hose beneath the deck on your push mower, make sure to put the mower back down on all four wheels and re-start the mower. This will blow the water out from under the deck. Be sure to keep the blade on your push mower very sharp. When using the mower as a mulcher, the blade cuts the clippings over and over again, getting more use than the typical push mower blade; keep a spare blade on hand, it can be a lifesaver. Finally, try not to cut more than one third of the growth off your lawn when mulching. The roots of grass are very superficial and if you lower the wheels on your push mower and “scalp” your lawn it is very damaging to the root system. If we experience a long period of time with little or no rain your lawn will dry out much faster. Let’s face it, mowing the lawn is not be on top of everyone’s favorite to-do list, but if you are using quality Toro mowers it will make cutting the grass a more pleasurable experience. Choosing the right Toro mower for your yard isn’t difficult. Start by asking yourself a few questions: How big is my yard? Do I want a push or self-propelled Toro mower? Am I going to mulch, bag or side discharge the grass clippings? Who is going to use the mower? Do they need an electric start Toro mower, or is a recoil start ok? If I mulch more than bag, is the engine on my Toro mower powerful enough to handle mulching? Toro mowers mean quality; there is no doubt about that. Power Equipment Warehouse has sold Toro mowers for well over 50 years. Toro mowers offer a variety of features and prices: A Toro mower can be a Toro e-Cycler®, Toro Recycler®, Toro Super Recycler®, and Toro Super Bagger. 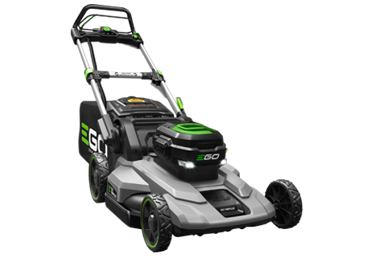 The e-Cycler® Toro mower is an, emissions free, 36-volt cordless system, and offers a full two year coverage warranty. The Recycler® Toro mower is their best-selling unit. All recoil start or electric start, mulch, bag or side discharge, and have a two year full coverage warranty. 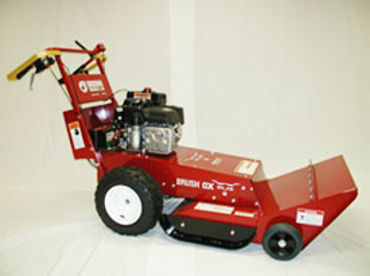 The Super Recycler® Toro mower is the ultimate mulching mower. These Toro mowers come with a rust-free cast aluminum deck and the super recycler cutting system, plus they will side discharge and bag too. Other features on this type of Toro mower include self-propelled Personal Pace, durable wheel assemblies and a five year full coverage warranty. For those of you who always bag, the Toro Super Bagger leaves nothing but a perfect cut. This Toro mower has a cast aluminum deck and is engineered with a large rear-discharge opening that forces more grass into the bag. The EZ Lift Bag makes it almost effortless to empty, and you can still mulch or side discharge. These Toro mowers come with Honda® engines that are lighter, quieter and offer an emission friendly overhead cam. All Toro mowers offer features such as recoil or electric start, mulch, bag or side discharge, steel or cast aluminum rust-free mowing decks, Personal Pace self-propelled systems, washout port, blade override systems, Ready Start™ and a 2 year or 5 year full coverage warranty. These features are specific to each type of Toro mower. 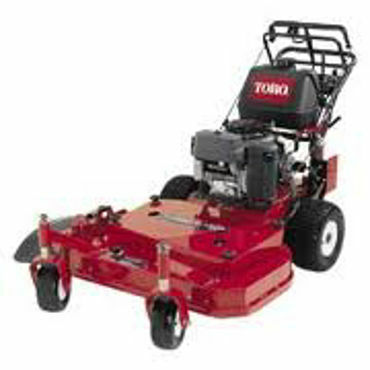 Power Equipment Warehouse has all the Toro mowers in stock and ready to ship today! Call one of our experienced associates for help in reviewing all the Toro mowers available and choosing just the right one for your lawn. 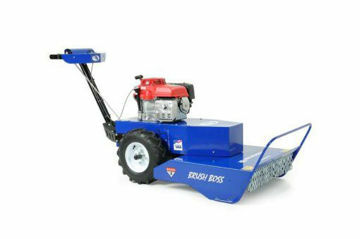 Don’t forget Power Equipment Warehouse carries mower parts for any Toro mowers or other walk behind mower, new or old. 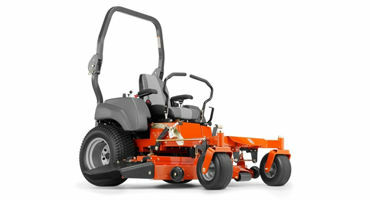 Just call us with the model and serial number of your mower and the parts will be on their way to you.